Welcome to Travel Write Change! Hola! My name’s Rebecca Adams. 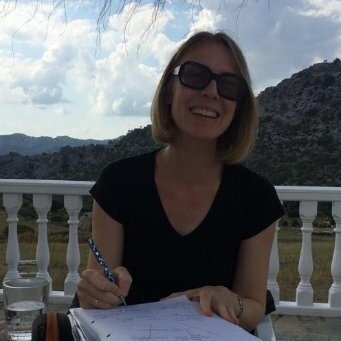 I’m a freelance teacher of English, Spanish and Writing for Wellbeing. After studying a BA (Hons) in English Literature and Spanish and a Post Graduate Certificate in Further Education I spent 18 years teaching, training and coaching in Spain. I began my career teaching English at the University of Cantabria and later became Head of Languages at an International School in Andalusia. I then went on to train teachers with a local authority organisation. Whilst living in Spain, I also freelanced with the educational publisher, Macmillan Iberia for 11 years. 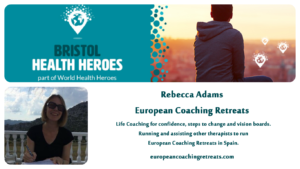 Since gaining a diploma in Personal Performance Coaching, I have been teaching wellbeing and confidence courses for local authorities and organisations in Spain and the UK. I facilitate learning and personal development through creative writing groups and workshops. I have developed, written and delivered Creative Writing for Wellbeing courses for various organisations and a local charity. Travel, languages and writing are part of my life. Currently, based near Bristol in the U.K. I often travel to Cádiz in the South of Spain, where I organise an annual writing retreat. Thank you for taking the time to read my blog. I hope you find it useful and enjoyable. Hasta pronto! See you anon!